Morgan James Kids, 9781683506997, 44pp. 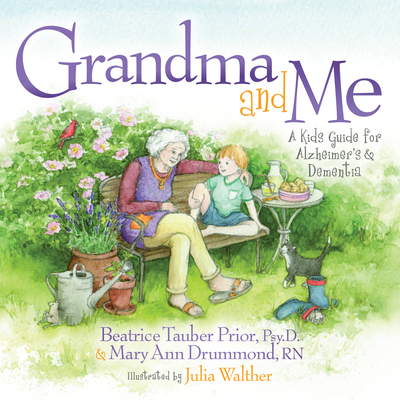 In Grandma and Me, Beatrice and Mary Ann combine their years of clinical experience to create a truly engaging, yet informative book for young children on the topics of Alzheimer's and dementia. The beautiful artwork will capture children's attention, bring them into the story, and help them return on their own. Grandma and Me provides a gentle, yet age appropriate description of Alzheimer's disease, while providing tools that helps children continue to have a relationship with their loved one despite the disease. Grandma and Me addresses a difficult topic with love and understanding and provides the tools for children to successfully navigate the journey ahead.